What is a Radiator Hose Clamp? Before we can understand the purpose and location of a radiator hose clamp, we should know what a radiator does. A radiator exchanges heat by transferring thermal energy from one location to another. Radiators are essential for regulating cooling and heating in a vehicle. Radiator coolant passes through the engine block to cool the engine. Coolant must travel through the radiator tubes. Spring Clamps apply constant tension on the rubber radiator hose. Usually, a car will come equipped with this type of a clamp. These types of clamps will always apply the same, constant pressure no matter the condition of the hose. Spring clamps can pose problems though. It may be difficult replacing the hoses using these clamps. Worm Clamps are a clamp that most people are very familiar with. They can be found about anywhere and are used in a variety of situations. The circumference changes size by tightening or loosening the screw. These type of clamps can create a lot of problems. At times, these clamps will cut the hose or fray the hose. In addition, worm clamps will not adjust to the changing sizes of the hose, which can lead to leaks. As discussed above, these leaks can lead to engine failure. Racing Clamps are t-bolt clamps that are strong, made of quality material, and they are easy to remove. Some drawbacks to these clamps may be availability and tension. These clamps will most likely not be available at a traditional car parts store. Also, there may be some loss in tension. Other than that these are an excellent option when trying to replace standard spring clamps. In addition to these three types of radiator hose clamps, there is a fourth category. This fourth category is custom hose clamps. 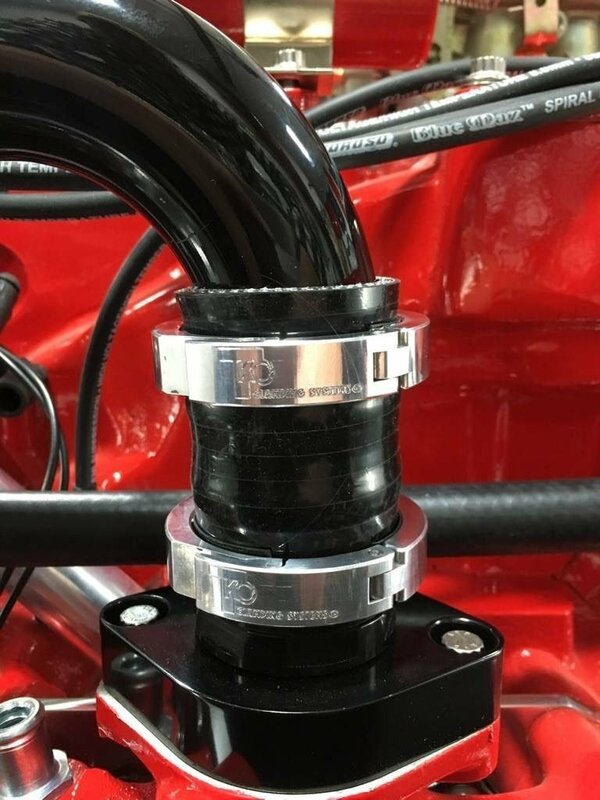 A custom radiator hose clamp is a viable option for not only hot rods and classics, but for everyday vehicles. Custom clamps can give you the best of both worlds. They are machined to precise specifications, made of quality material, easy to remove, maintain proper tension, and look great. TKO Clamping Systems created custom radiator hose clamps that look great while performing flawlessly. Custom means that you can get the clamp that you need for your projects. Replacing custom radiator hose clamps is simple. These clamps do their job and work differently than other typical hose clamps. The uniqueness of theses clamps comes from their patented design. This patented design features a multi-hinged three part aluminum band. This allows the user to attach and release the clamp with ease. These clamps also open completely so that you do not have to remove the hose to attach the clamp. Custom TKO clamps are tightened by simply closing the latch. They maintain tension due to the fact that the inside diameter has a convex edge that creates a seal. This is imperative to maintain pressure on the hose while the hose changes size or consistency. Replacing a hose clamp should not be a difficult process, but a simple outline of how to do it can be beneficial. With the world that we live in it is nice to save money when we can. Learning how to replace parts on your vehicle can be one of those ways to save a few dollars. 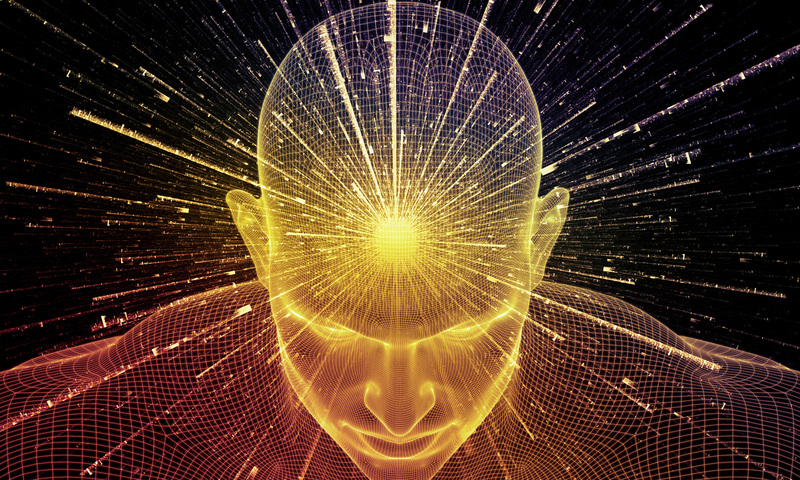 It is not a difficult process and with some practice you can be teaching others. Knowing basic anatomy of a car will help in this process. Also, using TKO custom radiator clamps will simplify the process. These clamps are easier to use than other. They take away the pain of the worm clamp. If you had to replace a radiator clamp with a worm clamp, then you would have to remove the hose and try to tighten the clamp while not damaging the hose. These frustrations are unnecessary with the creations of these new patented clamps. Hose clamps usually have to be replaced every few years or at least checked. This will ensure that your vehicle is functioning properly and that you are not ruining anything in your engine due to overheating. Do-It-Yourself has created a simple five step process to replacing a radiator hose clamp. They say that it will only take about half an hour to replace the clamp. Cool the Engine – First, make sure that the car has sat for a while. Working on the radiator of a car that has not sat long enough after being driven can cause severe burns and make replacing a clamp an awful experience. You need to remove the plug on the bottom of the coolant tank. Let the coolant drain and dispose of it with caution. Hoses – Measuring the existing hoses will allow you to pick up the correct sizes of the hose, both length and diameter, before starting this process. Clamps -They can fail over time and should be analyzed and maybe replaced. Bad clamps can cause engine failure due to overheating. Finding the right size clamps will prevent this issue. The hose needs to be wiggled off to avoid damage to the heating element. Be cautious during this step and take your time to remove the hose. Replacing the Hose and Clamp – Once the hose is removed, make sure that any leftover sealant or debris is removed so that there is a proper fit with the new hose. After the hose fittings are cleaned, then you can add gasket sealant to ensure that the hose is sealed. Then place the clamp on and secure around the end of the hose at the fitting. This is an important part. It will determine whether or not the car functions properly from a correct seal. Lastly, you can add new coolant to the system. Check the System – After replacing the parts and adding the coolant, you can start the car and give it some time. Time will reveal whether or not there are any leaks in the system. If there are leaks, then tighten the clamps and repeat the process. Following this simple process can save you time and money while replacing your radiator hoses and installing new clamps. One way to make this process even simpler is to use a custom TKO clamp that can easily be attached and secured. How Can TKO Clamping Systems Help You? TKO Clamping Systems can help you find the radiator hose clamp that you need. If you are trying to build a hot rod or need the security of a better hose clamp, then look to the clamps that we offer. These radiator hose clamps can be customized to the color that you want and can also have a custom engraving. These are classy clamps that can be seen if you have a hot rod where the engine is exposed. It can give you a custom flair that others may not have. Not only aesthetically, but structurally these clamps are superior to other clamps on the market. They will maintain the necessary pressure to keep your vehicle’s coolant system running properly for years. Also, they are easy and simple to operate. They are leaps and bounds ahead of the worm clamps. You do not have to worry about damaging the radiator hose while using a TKO clamp. If you need help finding the correct size clamp or want a custom color, then contact us and we would be happy to assist you.